Have you got tired and sagging cushions? Cushions with feathers coming out? 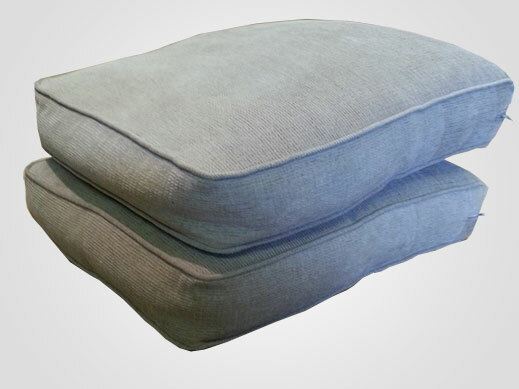 Or polyester cushions that however much you plump up, never seem to stay full and comfy? Yes... then why not give your sofa and chairs a new lease of life? 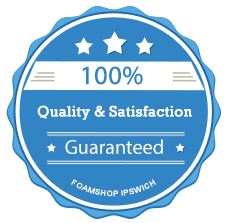 Here at the foam shop we really can transform your living room suites into full, plump and comfy seats. Often we find that the new suites have good quality and hard wearing cover materials but the actual seating interiors are less than desirable. So what do you do with a nearly new sofa that needs new cushions?? Speak to us of course! 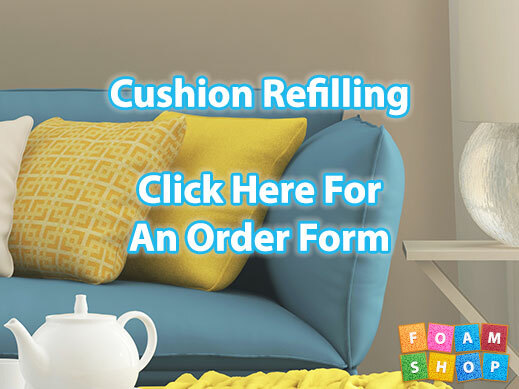 We are making cushions on a daily basis as part of our expert cushion replacement service. We have all the foams in stock and can shape and chamfer the cushions to your exact measurements and desired finished look. 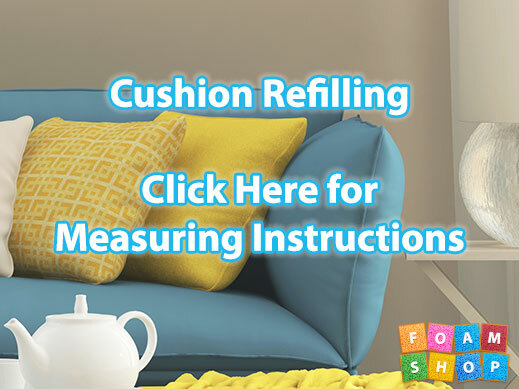 Whether your cushions were originally filled with foam, feathers or fibre we can refill them. The end results will make you wonder why you hadn’t had them done a long time ago and with superb quality interiors you will be happy for many years to come. These two cushions came into us looking tired and flat. They are now going out looking like new cushions. 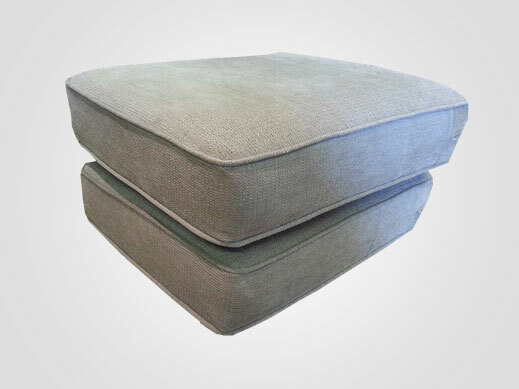 We filled these with Regal luxury medium foam with polyester wraps and stockinette under covers before putting them back into the covers. Ready to refill those cushions? Click here to get started. Tip: For the best look we recommend polyester wraps and stockinette covers to finish. The polyester wraps give the cushion a rounded plumped 1finish which stretches out your covers for the ultimate finish. The stockinette offers protection to your foams and your cushion covers during use. Please note: the polyester and stockinette is extra to the size of your foams; the comfort wrap adds approx 0.5" to all dimensions uncompressed and the super luxury wrap adds approx 1" to all dimesions. Do not take off the additions of the wraps from your foams as the polyester will flattern during use.